As more people around the world begin to rely on their smartphones for all aspects of their lives, companies and financial institutions see the benefit of offering a way to carry payment information on those phones rather than carrying wallets. This capability has also assisted people who do not have bank accounts to participate in the global economy, including helping to accept payments for services from others as well as receive funds from loved ones around the world. The digital wallet is the next stage in the evolution of money that is now becoming more common as digital currency and could even signal the end of cash in the near future. Due offers a digital wallet plus ePayment, eBank, and payment processing capabilities as well as invoicing, time tracking, project management and client management tools for a complete solution for freelancers, small business owners, startups and established companies. Accelitec WalletBuilder enables companies and retailers to provide a digital wallet feature in their business to build rewards programs in a more efficient way plus allow their customers the convenience of storing payment information. 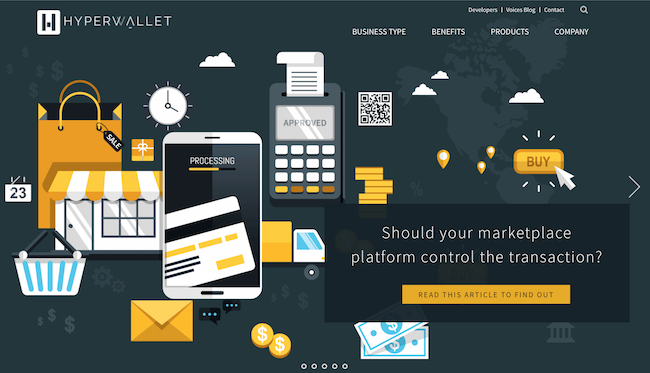 Due vs. Accelitec WalletBuilder: Both Due and Accelitec WalletBuilder offer a digital wallet solution for small businesses. Accelitec’s solution provides users with a way of digitizing various rewards programs all on one device or “wallet”. Due’s solution allows users to send and receive money using the credit on their accounts. With Due, you can send and receive money using your digital wallet for free. You can inquire online in regards to Accelitec’s pricing. Depending on which solutions you want to utilize, pricing may vary quite a bit. Adyen is headquartered in Amsterdam and is a payments platform for almost any type of payment that can be transacted anywhere in the world, offering a digital wallet to store personal and payment information. Due vs. Adyen: Both Ayden and Due offer payment solutions and a digital wallet to a multitude of different businesses. Ayden charges a processing fee based on your number of monthly transactions + a commission based on whichever payment provider you choose to process with. You can sign up and use all of Due’s features for free. If you are looking to process payments, Due charges 2.8% flat per transaction with no hidden or monthly fees. Due’s additional features include: invoicing, time tracking, project management, and reporting. Airtel Money is a semi-closed wallet that doesn’t permit cash withdrawal or redemption by consumers, but it can be used to do recharges, and make money transfers to contacts, shops, and bank accounts. It can also be used to make bill payments and pay for online shopping. Due vs. Airtel Money: Both Due and Airtel money allow users to utilize a digital wallet. Airtel Money is mainly used as a rechargeable “account” where you can make purchases from. Airtel makes online shopping easier with one-click purchases and allows users to send money to other on the platform. Due’s digital wallet allows you to send and receive money, make purchases, pay employees, and much more. You can utilize every aspect of Due’s fully functional digital wallet for free. Due offers additional features like invoicing and payment processing as well. Allied Wallet offers innovative and affordable payment processing solutions for e-commerce business owners, including digital wallet capability. Due vs. Allied Wallet: Both Due and Allied Wallet offer a free digital wallet as well as payment processing solutions for e-commerce business owners. Allied Wallet offers a payment processing solution through their payment gateway, you can inquire further about their rates online. Due’s pricing on payment processing is extremely transparent at 2.8% flat with no monthly or hidden fees. If your business transacts more than $250,000 a year in volume, you can inquire about custom rates well below 2.8%. Alipay is a company headquartered in China that provides an easy, secure way for individuals and business to make and receive payments online or on mobile through features like a digital wallet and other payment options. Due vs. Alipay: Both Due and Alipay provide users with a seamless way to make and receive payments through a digital wallet both online and on your mobile device. In addition to a digital wallet, Due allows users to invoice clients, manage projects, track time, and process payments on your online store. Due offers processing rates as low as 2.8% flat, you can inquire about custom rates depending on your companies transaction volume. 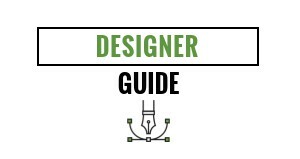 The rest of Due’s features can be accessed free of charge. American Express offers its customers digital wallet capability to do contactless payments in stores and mobile payments for online transactions. Due vs. American Express Serve: American Express focuses more on credit card solutions for individuals and larger enterprises. Due offers a hosted checkout and payment processing API for e-commerce busineses. Due offers the lowest credit card processing rates in the industry at 2.8% flat. Depending on volume, Due offers rates below 2.8% no hidden or monthly fees. In addition, Due offers features such as invoicing, time tracking, project management, and much more completely free of charge. Android Pay is Google’s mobile wallet app for Android phones. The digital wallet can be used to tap and pay in stores or to make in-app payments. Due vs. Android Pay: Android Pay is mainly targeted to everyday Android users. Like Due, Android Pay allows you to link your credit or debit card and make purchases from your device. Due provides payment services to both everyday consumers as well as businesses. With Due, you can use our payment processing API and access our hosted checkout for your e-commerce businesses. Soon, Due will offer payment processing options for POS purchases. Apple Pay is a mobile wallet for iPhones and the Apple Watch that can hold credit and debit cards for paying at businesses that have contactless point-of-sales systems or to make in-app purchases using the iPhone or the iPad. Due vs. Apple Pay: Both Due and Apple Pay allow you to use your various devices to store payment information as well as make purchases. Apple Pay is widely used in a POS setting where a user can hold their phone up to the store’s POS system and make transactions without ever pulling out a credit or debit card. Due’s digital wallet is used to send and receive money across the Due platform using the credit in your account, make purchases online, pay employees, and much more. Users can access all of the features provided by Due’s digital wallet for free. Authorize.net is a payment processing company that also provides digital wallet capabilities. Due vs. Authorize.net: Both Authorize.net and Due offer similar payment capabilities. Both platforms offer credit card processing, e-checks, online payments, digital wallet, and recurring billing. Authorize.net offers in-store payments while Due does not yet have POS capabilities. The main difference is pricing. Authorize.net charges $49 for setup, $25/month for the payment gateway, and $2.9% + $0.30 per transaction. Due offers the lowest credit card processing rates in the industry at 2.8% flat. Depending on volume, Due offers rates below 2.8% no hidden or monthly fees. Bank of America partners with multiple companies to offer digital wallet capabilities and provides a way to include its own debit and credit cards to the digital wallet. The bank also helps consumers do one-click checkouts, pay bills, and check transaction histories. Due vs. Bank of America: Both Due and Bank of America offer digital wallet capabilities that allow users to link bank accounts or credit cards, pay bills, and make purchases online. Bank of America partners with several companies to offer their digital wallet solution, so pricing may vary depending on which partner you choose to go with. Due’s digital wallet solution is offered for free along with tons of other awesome features. These features include project management, time tracking, invoicing, and payment processing. Barclaycard is a UK bank that provides digital wallet capabilities for its customers as a replacement to carrying cash or debit and credit cards. Due vs. BarclayCard: Both Due and Barclaycard offer a digital wallet that serves as an alternative to carrying around cash or multiple payment cards. With Due’s digital wallet you can make purchases online, send and receive money from others on the Due platform, pay employees, and much more. Due offers other accounting solutions such as invoicing, time tracking, project management, and payment processing as well. Due’s general accounting solution is offered for free and payment processing is offered at 2.8% flat. Biyo Wallet is an international company that offers a revolutionary biometric digital wallet that allows you to pay with your palm so you can leave your cash and credit cards at home. Due vs. Biyo: Biyo created a biometric digital wallet solution that allows you to make purchases using the palm of your hand. Biyo’s state of the art POS systems scan the palm of your hand using your unique vein patters. You can then add any bank account or payment card to your Biyo account using their app and make payments using your hand instead of pulling out cash or credit cards. Biyo is free for consumers’ but costs $89/month to lease the hardware + $99 a month for the monthly cloud service. Due’s digital wallet solution is much simpler. Due’s digital wallet is only used online at the moment. With it you can send and receive payments, make purchases using the credit in your Due account, set-up recurring billing, and much more. Due offers it’s digital wallet free of charge along with invoicing, time tracking, payment processing, and project management features. Boku provides a way to not have to carry payment cards because the mobile phone becomes a direct billing service with stored payment information, providing a secure and convenient way to pay merchants. Due vs. Boku: Both Due and Boku provide users with a way to store credit/debit card and bank information on a digital wallet. Boku turns your mobile device into a digital wallet allowing you to make purchases directly from your phone. You can sign up and use Due’s digital wallet for free along with plenty of other awesome accounting solutions. Due provides users with a way to seamlessly send invoices, manage various projects, track time, and if you’re an online store, process payments. Due’s payments processing offers competitive rates that are among the lowest in the industry. Due’s rates start at 2.8% or lower depending on transaction volume. The Boost Mobile digital wallet is an easy way to make payments with cash directly from a Boost Mobile phone. It can be used to send money, pay bills, and top-up mobile phone credit. Due vs. Boost Mobile: Boost Mobile allows you to make payments and send money via your mobile device. The only catch is that you have to have a boost mobile device to utilize this feature. Due allows you to utilize its digital wallet from any device anywhere in the world. With Due’s wallet you can pay your entire companies payroll in minutes, set up recurring billing for things like rent or utilities, and you can send and receive money from anyone instantly. The Brink’s Money Prepaid MasterCard app provides a way to manage your money on the go, including checking transaction history, sending money to family and friends, moving money across accounts, and loading checks using the mobile image capture feature. Due vs. Brinks: Brink’s offers a prepaid MasterCard app that allows you to load money onto your mobile device and make payments on the go. Both Due and Brink’s cover use cases such as sending and receiving money and making payments online. In addition to a digital wallet, Due provides a suite of features that encompass the majority of a small businesses needs. A few of these features include: invoicing, time tracking, project management, reporting, and payment processing. BTCC offers numerous services for your cryptocurrency or digital currency like Bitcoin, including a digital wallet to store that currency to use to buy products and services where digital currency is accepted. Due vs. BTCC: BTCC is one of many cryptocurrency wallet’s that allows you to store that currency and make purchases from your wallet. Like BTCC, Due allows you to make and receive payments using Bitcoin through various partnerships. Unlike BTCC, Due is not limited to the cryptocurrency space. You can make payments internationally and domestically in seconds using Due’s payment capabilities. Capital One Wallet is a free mobile wallet app that can be downloaded to an Apple or Android phone and used with your credit and debit cards from Capital One Bank and Capital One 360. It can be used in locations with contactless payment machines plus for tracking spending and transactions. It can also be used in conjunction with the Capital One Mobile App, which is used for managing accounts and paying bills. Due vs. Capital One Wallet: Both Due and Capital One Wallet allow you to link payment cards and bank accounts to your digital wallet. From your wallet both services allow you to make purchases and track spending. When you make a free Due account you will have access to Due’s digital wallet along with its other features for free. You can bill clients with customizable invoices, manage projects with multiple team members, and process payments for your online store with Due. Due’s credit card processing rates start at 2.8% flat and can go lower if your company has a high transaction volume. CardFree offers integrated commerce solutions for merchants that includes Gifts, offers, loyalty, payments, order ahead and rich data analytics as well as the ability to integrate with existing mobile wallets or provide them with ways to help their customers use a digital wallet. Due vs. CardFree: Both Due and CardFree offer a digital wallet solution to various individuals and businesses. CardFree is focused more on providing businesses with integrated commerce solutions, namely loyalty programs, POS solutions, databases, etc. Due provides a very simple yet extremely useful accounting solution. The full suite of features include payment processing, invoicing, time tracking, project management, reporting, and of course a digital wallet. Due’s payment processing rates are as low as 2.8% flat with no hidden or monthly fees. The rest of Due’s features are offered for free when you sign up. The Cellum Group offers secure mobile wallet solutions to financial institutions, governments and merchants all over the world. Due vs. The Cellum Group: Both Due and The Cellum group offer a general digital wallet solution where you can make and receive payments without carrying around cash or various payment cards. The Cellum Group offers a huge suite of features that encompass industry specific needs like parking, event ticketing, and fundraising. Due’s general accounting solution is offered for free and can solve the majority of pain points for any small business. Chase Paymentech helps businesses use mobile wallet technology and offers digital wallet solutions for consumers and businesses known as Chase Pay. Due vs. Chase Paymentech: Chase Paymentech and Due both offer credit card processing services, e-checks, paypal integration, online and mobile payments, a digital wallet, and recurring payments. They offer POS payment capabilities which are on Due’s roadmap but not yet available. Chase Paymentech’s digital wallet is known as Chase Pay and it functions very similarly to other mobile payment solutions like Apple Pay and Android Pay. Citi Bank debit and credit card customers can use their Citi Masterpass wallets to ensure faster checkout with a single click or touch. This digital wallet stores all of your credit, debit, prepaid, loyalty cards and shipping details in one place. Due vs. Citi Masterpass: Both Due and Citi Masterpass have a digital wallet solution that allows you to store all of your payment information in one secure place. From this wallet you can send and receive money and make payments at the click of a button. Due’s digital wallet solution is offered for free along with all of its other awesome features like invoicing and time tracking. Due also provides payment processing solutions for e-commerce businesses with rates as low as 2.8% flat. Citrus Pay is a company based in India that offers a mobile wallet to pay friends, get paid back, or split a bill with your group. It lets you send money to and receive from anyone who has a phone number or email. Other features include showing past transactions and tracking spending patterns. Due vs. Citrus Pay: Both Due and Citrus Pay provide a digital wallet in which consumers can pay friends, get paid, and bill clients with the click of a button. In addition, both platforms allow both consumers and businesses track their spending patterns on a beautiful back-end interface. For merchants, Citrus Pay charges 1.999% + 3 Rupees per transaction + an annual maintenance fee of 1200 Rupees for processing. Due’s processing costs 2.8% flat no monthly, annual, or hidden fees. Due’s digital wallet, invoicing, project management, and time tracking features are all offered for free. Coinapult offers digital wallets for Bitcoin as well as serves as a broker for Bitcoin. Due vs. Coinapult: Due and Coinapult both offer a digital wallet that allows users to make payments from. Coinapult’s digital wallet is only used to store Bitcoin. 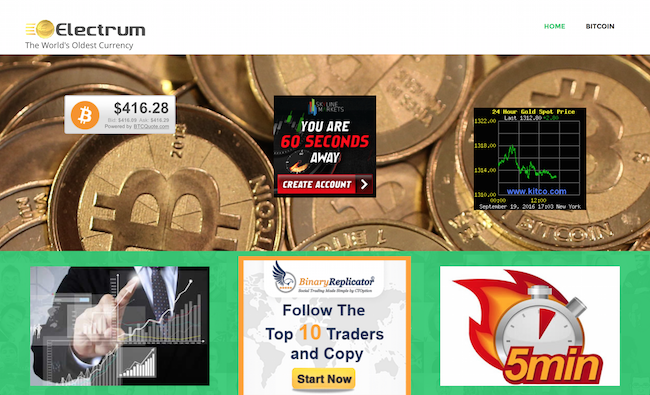 Coinapult also serves as a Bitcoin exchange where users can buy and sell their Bitcoin on the platform. Coinapult provides transparent and simple pricing on their website for buying and selling the cryptocurrency. Due’s digital wallet is used for storing money and making payments with a multitude of currencies. Due allows for Bitcoin transactions and is working on facilitating payments internationally as well. 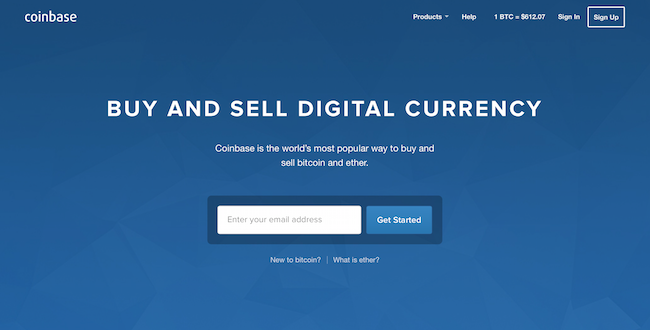 Coinbase is a digital wallet for storing digital currency or cybercurrency, providing a way to pay with alternative currency for secure and fast transactions around the world. Due vs. Coinbase: Coinbase is a crypto wallet that is used to store a multitude of different cryptocurrencies. In addition to storing these currencies you can also buy and sell them on a live market. These currencies allow you to pay securely and quickly all around the world. With Due’s digital wallet you can make payments internationally with a bunch of different currencies as well, including cryptocurrencies. Due’s digital wallet is offered for free along with all of its other awesome features. When you sign up for Due, you’ll be able to invoice clients, manage projects, and track time for free. If you’d like to access Due’s payment processing capabilities you’ll be charged 2.8% flat per transaction. 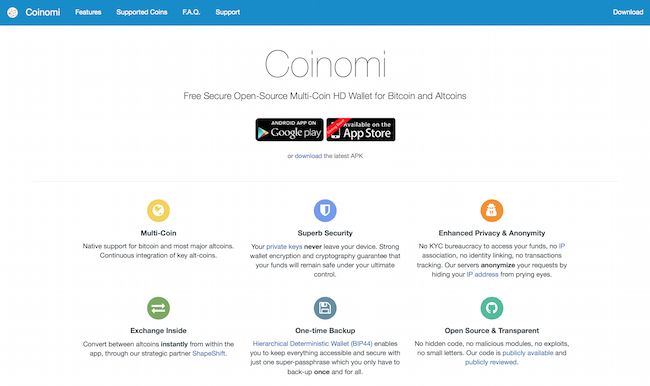 Coinomi Wallet is a free, secure, and open source multi-coin wallet for Bitcoin and Altcoins. Due vs. Coinomi Wallet: Both Due and Coinomi offer a free and secure digital wallet solution for various businesses. Coinomi wallet’s solution is solely for Bitcoin and Altcoins. With Due, you can make payments from your digital wallet using cryptocurrencies along with many other currencies. Along with a digital wallet, Due provides invoicing, time tracking, and payment processing features for small businesses. Dashlane is an internationally accepted password manager and secure digital wallet that offers a way to make and receive payments without using cash, checks, or physical credit cards. Due vs. Dashlane: Both Due and Dashlane offer a secure digital wallet solution that allows you to go virtually completely paperless with your payments. 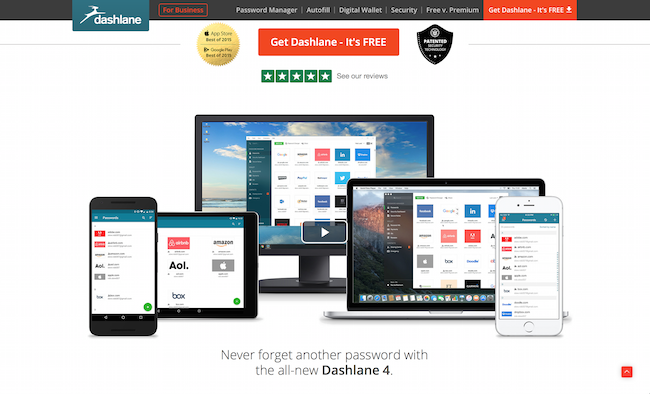 In addition to an online solution, Due and Dashlane also provide a mobile version of their wallets as well. These platforms provide a back-end dashboard where you can track your spending and keep records of your payments. Due’s accounting solution comes with invoicing, payment processing, time tracking, and project management along with its digital wallet. 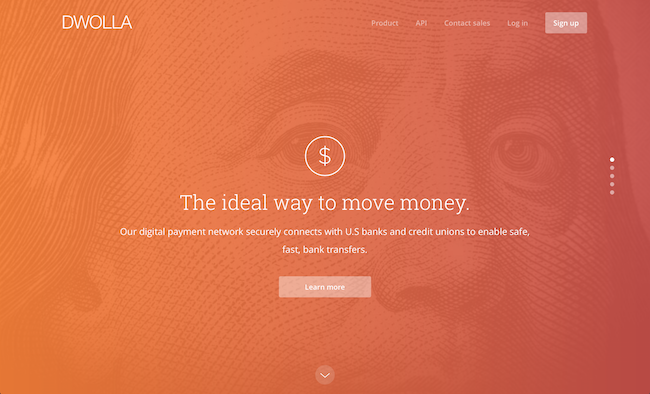 Dwolla offers a digital payment network that moves money between U.S. bank accounts and credit unions, providing a digital wallet feature to store personal and payment information for faster transactions. Due vs. Dwolla: Both Due and Dwolla provide businesses with a fast and secure way to store personal payment information as well as make payments seamlessly from your wallet. Dwolla’s pricing starts at $25/month and goes all the way up to $1500 or more for a custom integration plan. Both Due and Dwolla allow you to utilize nearly every facet of a digital wallet. You can send and receive payments, pay employees, set up recurring payments/billing, and much more. Due’s accounting solution provides more than just a digital wallet. Additional solutions include: invoicing, payment processing, project management, and much more. All of Due’s features besides payment processing are offered for free. If you have an online store and would like to process credit cards on your online store you will be charged 2.8% flat per transaction. Electrum offers a lightweight Bitcoin wallet that can be used to store digital currency. Due vs. Electrum: Due and Electrum offer very different services. Electrum is a very basic Bitcoin wallet that allows you to store this digital currency. Due has a digital wallet as well. From this you can store money, make and receive payments instantly, make online purchases, set up recurring billing, and much more using multiple currencies including Bitcoin. If you’re looking for just a Bitcoin wallet, there are plenty of other options that are free and can offer much more than Electrum. 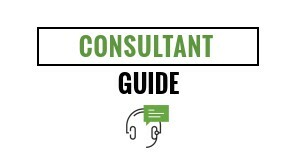 If you’re looking for a full fledged accounting solution thats also free, your best bet is to go with Due. eWallet is a mobile wallet that can be used to store and access payment and personal information. However, it doesn’t give you the ability to tap and pay at retail locations. It’s one of the few electronic wallet apps that isn’t free. Due vs. eWallet: Both Due and eWallet offer a digital wallet solution. eWallet is a mobile wallet that can be used to store and access payment and personal information. eWallet does not allow you to make payments or send money via your wallet. In addition, eWallet costs $9.99 to download onto your IOS platform. Due’s digital wallet is free, and allows you to not only store payment information but also make and receive payments directly from your wallet. Along with digital wallet functionality, Due also offers payment processing, time tracking, and invoicing. While not entirely a digital wallet, Facebook is starting to offer some of features found in one, including a way to store payment information to use to pay others through their Messenger app. Due vs. Facebook: Facebook Messenger doesn’t exactly offer a digital wallet. However the messenger app allows you to store payment information securely and make payments from the app. Similar to Due, Facebook Messenger’s ability to pay and receive money from others is the basic use case solved by a digital wallet. Due’s wallet has capabilities well beyond sending and receiving money. With Due’s digital wallet you can set up payroll for thousands of employees in seconds, set up recurring billing for rent or utility payments, and much more. FillIt is a tool from Team Data that offers a one-click payment experience by storing all payment and loyalty card information. 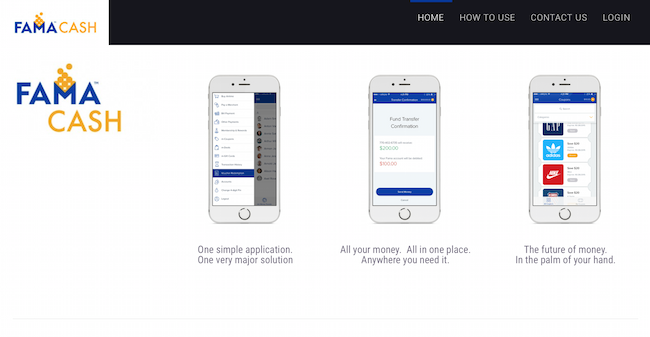 Due vs. FillIt: Like Due, FillIt offers a digital wallet solution where you can store nearly all valuable payment information in one place. In addition, you can also make payments from this wallet in the click of a button. There’s no longer a need to carry around cash or 15 different credit cards because it can all be stored on one device. TeamData charges monthly to use their service. Due offers its digital wallet as well as invoicing, time tracking, and project management features for free. You can use Due’s payment processing capabilities if you’re an online store at a 2.8% flat rate per transaction. Finacle’s digital wallet solution offers a secure, intuitive, and convenient payment experience for customers. It supports several businesses banks, telecom service providers, and retailers. 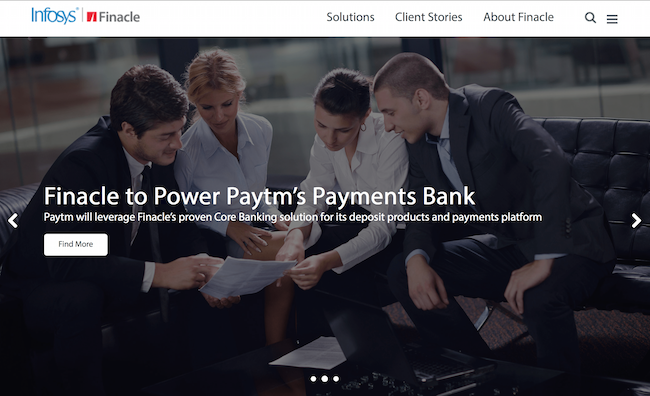 Due vs. Finacle: Due and Finacle provide a digital wallet experience that allows users to securely store all payment information on a single platform. Due and Finacle allow users to make one-click payments from their wallets providing a seamless and convenient payment experience for their users. If you’re a small business looking to take advantage of a suite of accounting tools for free, look no further than Due. Due allows you to sign up and use invoicing, time tracking, project management, and reporting features for free. Payment processing is also available on Due for 2.8% flat per transaction. Fis is a global company that provides financial technology for all types of companies around the world so they can leverage the latest in payment options, including digital payments and digital wallets. Due vs. FIS: Both FIS Global and Due offer payment processing and digital wallet solutions to businesses of all kinds. FIS Global also offers banking, wealth, and management consulting services to better exceed customer expectations. FIS Global focuses more on larger enterprises covering a huge range of industry specific solutions. On the payments side, they cover a similar range of solutions as Due. Due offers additional features such as time tracking, project management, invoicing, and much more. FreeBeePay is a tool offered by FamaCash, which provides a digital wallet for storing loyalty cards, coupons, sensitive account numbers for all of your debit and credit cards, and more. It also provides you with regular updates on promotions and deals for specific companies and brands. Due vs. FreeBeePay: Both Due and FreeBeePay allow users to store all of their sensitive payment information in one place. In this day and age, the idea of going completely paperless with payments is becoming more popular. A digital wallet is the perfect solution for individuals and businesses to move away from cash and credit card payments. Both of these services allow you to make payments directly from the app. Due offers your business much more than just a digital wallet. Due provides a solution for invoicing, time tracking, project management, reporting, and payment processing. To process payments, Due charges 2.8% flat per transaction. FreeCharge is a company from India for payments. It also offers its own digital wallet for consumers. Due vs. FreeCharge: FreeCharge is a service that allows users to load up money onto a digital wallet and make payments at a select group of merchants. This allows users to avoid carrying around cash or various payment cards if they’re typically shopping at the merchants partnered with FreeCharge. It’s as simple as entering in your phone number to make an account and then FreeCharge handles the rest. Due solves a similar pain point by allowing users to connect a credit card, debit card, and or bank account to their Due account and make payments directly from their digital wallet. GoCardless is a UK company that makes it easy to collect direct debits from individuals to multi-national corporations. Due vs. GoCardless: Both Go Cardless and Due offer payment processing and digital wallet solutions for businesses of all sizes all over the world. Go Cardless offers industry specific solutions while Due has a general accounting solution. Due offers a direct processing solution with rates starting at 2.8% or lower depending on volume with no hidden or monthly fees. In addition, Due offers features such as invoicing, time tracking, project management, and much more completely free of charge. Google Wallet is a fast and easy way to pay and get paid by family, friends, and customers in the US by using an email address or phone number. The money can be sent directly from r debit card, bank account, or wallet balance. The transactions can be done in the Google Wallet app, on a desktop, or in Gmail. Due vs. Google Wallet: Google Wallet and Due both allow users to send money for free across the platform either from a linked card, bank balance, or digital wallet balance. Due offers additional features such as payment processing, time tracking, hosted checkout for online businesses, project management, invoicing, and much more. Due offers credit card processing at a flat 2.8% fee or lower depending on volume with no monthly or hidden costs. Gyft is a digital wallet that helps to more effectively manage gift cards and how they are spent. It works on Apple and Android phones as well as the Apple Watch. 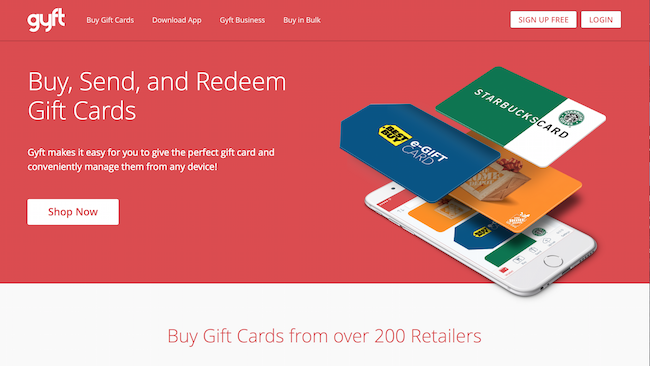 Due vs. Gyft: Gyft’s digital wallet is mainly used for gift cards. Overtime people accumulate tons of various gift cards and often times misplace them. Gyft allows you to store all your different gift cards on one device so you never have to worry about losing one again. Due offers a digital wallet for your credit card, debit card, and bank accounts. From Due’s digital wallet you can make purchases and much more at the click of a button. Due doesn’t only offer a digital wallet solution. In addition to a digital wallet, Due offers invoicing, time tracking, and payment processing features. HDFC Bank in India offers Chillr, which is a digital wallet that is an instant money transfer app that simplifies money transfer and payment processing. You can transfer money to anyone in their phone book. It is currently available only for HDFC Bank customers and can be used to send money, recharge mobile phones, split bills, request funds or transfer money. Due vs. HDFC Bank: Both Due and HDFC offer payment processing and a digital wallet. HDFC’s digital wallet can only be used by HDFC bank customers but has basically the same functionality as Due’s digital wallet. Both services allow users to send money, receive money, pay bills and more. If you’re looking to process payments at an extremely affordable rate, look no further than Due. Due offers credit card processing rates starting at 2.8% flat with no monthly fees. Due can provide rates below 2.8% depending on transaction volume. Hyperwallet provides a frictionless, transparent, and reliable way for companies to enhance their customers’ transaction experiences, utilizing digital payments technology and digital wallet functionality. Due vs. Hyperwallet: Both Due and Hyperwallet are attempting to simplify the transaction experience by moving payments entirely digital. Hyperwallet provides an excellent mass payout solution that solves pain points related to recurring payments and global workforce payment distribution. Due’s digital wallet serves many use cases as well. From recurring rent payments to mass employee payouts, Due’s functionality covers it all. Due also offers invoicing, client and project management, payment processing, and reporting features. ICICI Bank offers the Pocket e-wallet and digital bank that provides the convenience of using any bank account in India to fund your mobile wallet and pay for transactions. 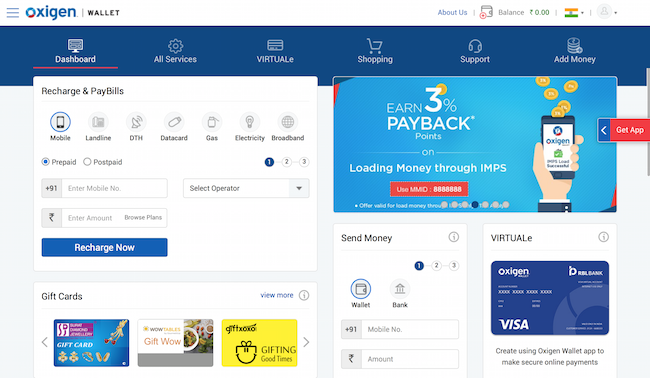 It uses a virtual VISA card that enables its users make purchases on any website or mobile application in India and provides exclusive deals or packages from brands that partner with ICICI Bank. Due vs. ICICI Bank: Both Due and ICICI bank offer a digital wallet solution that allows you to go paperless with your transactions. 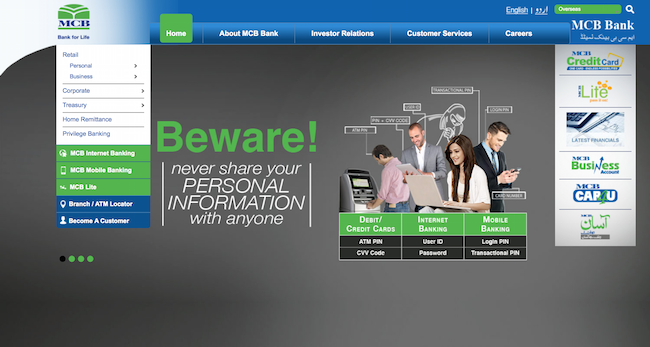 They basically serves as a virtual visa where you can load money onto your mobile device. ICICI provides promotions and exclusive deals with brands partnered with ICICI, Due does not have these offers or partnerships established at this time. When using Due’s digital wallet, there’s no need to “load” money onto any account or device. Just simply link your bank account(s) and various payment cards and you’ll be able to make payments at the click of a button. Due’s additional features include invoicing, payment processing, client and project management, and reporting. Key Ring is a mobile wallet for shoppers who are focused on loyalty perks but who do not want to carry all those cards in their wallets. It works on Apple and Android phones, storing membership and loyalty cards. The app can also be used to create and share shopping lists as well as find deals at stores. The electronic wallet can also hold your gift cards but not debit or credit cards. Due vs. Key Ring: Both Key Ring and Due offer a mobile wallet solution, however the use cases for both solutions are very different. Key Ring’s mobile wallet provides easy storage for your gift, loyalty, and membership cards but not your debit or credit cards. If you’re the type of shopper who racks up 10 or 20 different loyalty cards Key Ring is perfect for you. Due’s digital wallet is offered both online and on a mobile device. You cannot store gift card or loyalty cards on Due’s wallet but you most definitely can store your credit card, debit card, and or bank account information on it. Due’s digital wallet is designed to cover use cases for both individuals and large businesses. On a basic level you can send and receive money instantly and for free. For larger companies you can access features like mass payouts to thousands of employees in a matter of seconds. Klarna is a Swedish online payments business with an expanding range of services that includes digital wallet capability among its many tools for buying and making purchases. Due vs. Klarna: Due and Klarna both offer a wide variety of payment options for businesses of all sizes. Klarna is focused on optimizing the checkout experience for online stores while providing a seamless payment experience for online shoppers. Due offers both a hosted checkout for online stores as well as a digital wallet. Due’s digital wallet can be used to send and receive payments, store payment information, perform mass payouts, and much more. Due’s credit card processing is offered at an extremely competitive rate. Due’s processing fees start as low as 2.8% flat with no monthly or hidden costs. The rest of Due’s features are offered for free when you sign up. Kuapay is a fast and secure way to make payments through a smartphone where credit cards are accepted. It is headquartered in Spain to help Spanish consumers as well as in Chile and the U.S.
Due vs. Kuapay: Both Due and Kuapay offer a mobile payment experience through a digital wallet. Kuapay is only offered on mobile devices where Due is offered both online and on mobile. Kuapay is focused on individuals who make everyday transactions with their credit cards. Due is catered towards individuals, small businesses, and even large enterprises. You can use Due’s digital wallet to make small payments or send money to family members across the globe. If you’re a large corporation you can set up your digital wallet to perform mass payouts to thousands of employees in a matter of seconds. 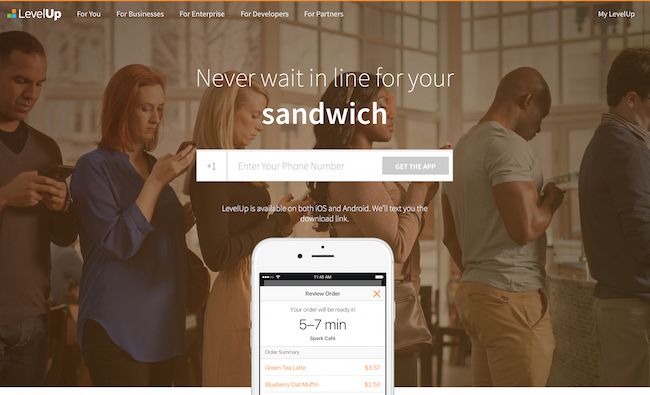 LevelUp is a loyalty-based digital mobile wallet app across the country. It offers rewards for shopping with participating businesses as well as provides instant digital receipts and provides a way to track purchases and rewards. Due vs. LevelUp: Both Due and LevelUp offer payment processing and digital wallet solutions of some kind. LevelUp focuses mostly on mobile software solutions for industry specific use cases. Their target customer is restaurants, and assist with features such as ordering ahead, in-store payments, and providing actionable analytics and data. The basic use for Due’s digital wallet is for sending and receiving money. Due’s wallet is also capable of recurring payments, employee payroll, and much more. Due offers a flat 2.8% fee or lower on payment processing depending on volume and ACH transfers are completely free. Mastercard offers a mobile wallet feature for its customers, including ways to pay at contactless equipment in stores as well as online. Payment and personal information can be stored along with other types of cards like loyalty and membership cards. Due vs. Mastercard: Mastercard provides the infrastructure for companies of all sizes to utilize several payment processing technologies to improve their business. Both Due and Mastercard offer digital wallet and payment processing capabilities. MasterCard allows users to store loyalty and membership cards on their digital wallet while Due only allows you to store credit or debit cards at the moment. You can see what Mastercard charges for interchange fees online. Due offers a flat 2.8% fee or lower on payment processing depending on volume and ACH transfers are completely free. Along with a fully functional digital wallet Due also offers time tracking, invoicing, project management, and much more. MCBLite is a company headquartered in Pakistan that bills itself as the first socially connected mobile wallet for consumers. Due vs. MCBLite: MCBLite offers a mobile wallet that allows users to make and share payments across the platform. Due offers both a mobile and online digital wallet solution. Due is currently operating in the United States and soon to be expanding across the globe. Soon user’s will be able to make payments instantly across the globe using Due’s fully functional digital wallet. Due users can take also advantage of features well beyond a digital wallet. These features include payment processing, invoicing, client and project management, and time tracking. 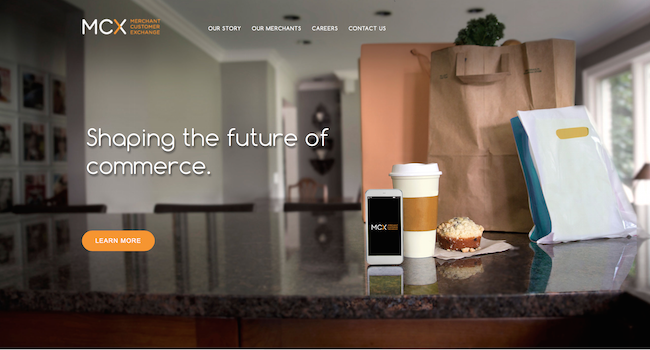 Merchant Customer Exchange provides mobile commerce solutions to help merchants provide mobile tools to provide their customers, including digital wallets. Due vs. Merchant Customer Exchange: Merchant Customer Exchange is focused on providing mobile solutions that will optimize the payment experience for both customers and merchants. One of their solutions is a digital wallet that allows users to store useful payment information from their smartphones and utilize them as payment devices. Due offers both online and mobile digital wallet functionality and provides payment capabilities for individuals and larger enterprises. Users can access Due’s digital wallet for free along with invoicing, time tracking, and project management. Microsoft Wallet offers a way to store debit, credit, rewards, loyalty and membership cards in one app so you don’t have to carry them all with you. It does require that you have a Windows-based phone. Due vs. Microsoft Wallet: Both Microsoft Wallet and Due offer a mobile wallet where users can store useful payment information as well as make payments without carrying around cash and various payment cards. Microsoft Wallet can only be accessed as a mobile app and in addition to payment cards, you can also store loyalty, rewards, and membership cards. Due can be accessed both online and on a mobile app, but you can only store credit and debit card information on your Due wallet. However, you can access Due from any mobile device that supports the Due mobile app. Users can access all of Due’s digital wallet capabilities for free. Mobikwik is a mobile wallet for Indians that offers a way to load phone for mobile pay, shop, and add cash or pay others. Due vs. Mobikwik: Both Mobikwik and Due provide users with a quick and easy way to go paperless with their payments. Both services offer a digital wallet that allows users to store useful payment information and make payments directly from their smartphones. 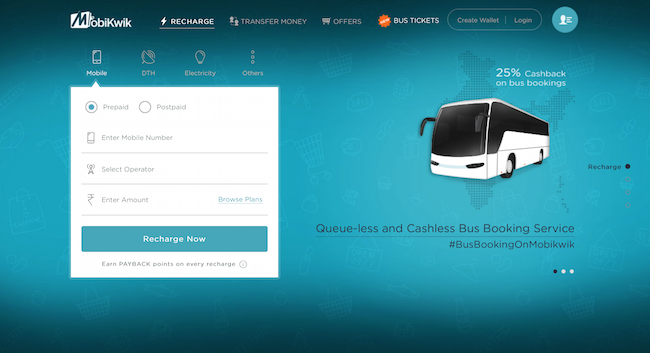 Due offers both a mobile and online service while Mobikwik is only for mobile devices. Due’s digital wallet can be used by larger enterprises as well for things like mass payouts and recurring payments. Momoe is based in India and enables people to pay with their mobile phones at merchants like restaurants, hotels and retail stores in Bangalore. Due vs. Momoe: Both Due and Momoe offer a payment solution that allows users to make payments from their mobile devices. Momoe is only useable on a mobile device in Bangalore at specific retailers. 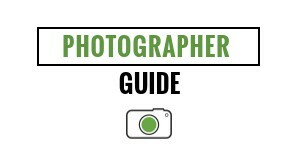 Due is offered both online and on a mobile device. Due’s digital wallet is currently operating in the United States but will soon be live all across the globe. Due is working with various online stores and merchants to accept Due’s digital wallet as a form of payment. At the moment, you can use Due’s wallet to send and receive money at the click of a button to any user on the platform. Due’s digital wallet also caters towards enterprises by providing payroll, recurring payment, and mass payment solutions. Moven helps businesses and consumers conduct their transactions in a more convenient and secure manner through their mobile devices rather than paper currency or plastic cards. Due vs. Moven: Due and Moven are assisting the payment revolution in moving away from paper and plastic transactions. Both services allow users to store useful payment information on their mobile devices as well as make payments from them. Moven only operates on mobile while Due provides both mobile and online digital wallet capabilities. Due’s solution optimizes the payment experience for both individuals and larger businesses. Individuals can seamlessly send and receive money across the platform at the click of a button, for free. 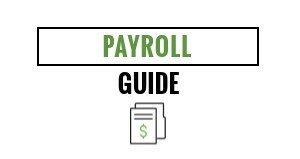 If you’re a large company and need to issue out payroll to thousands of employees, Due is your solution! You can sign up and use Due’s awesome features for free, except for payment processing which costs 2.8% flat per transaction. Mozido offers mobile bill pay, stored value accounts, P2P, remittance and airtime top-up, offering a way to get the latest in mobile payments directly to your customers. That’s where we come in. With Mozido’s technology, your branded mobile wallet can deliver everything your customers need to manage money through their mobile device. Due vs. Mozido: Both Due and Mozido offer a digital wallet experience for users of all kinds. Mozido is more focused on allowing merchants to create branded mobile interfaces that better serve their customers. Mozido is attempting to solve the pain points that occur when facilitating transactions between businesses and consumers. Due is looking to solve the same pain points but with a more general solution. Due’s solution includes invoicing, time tracking, project and clients management, and payment processing along with its digital wallet. Due’s digital wallet can be accessed both online and on your mobile device. 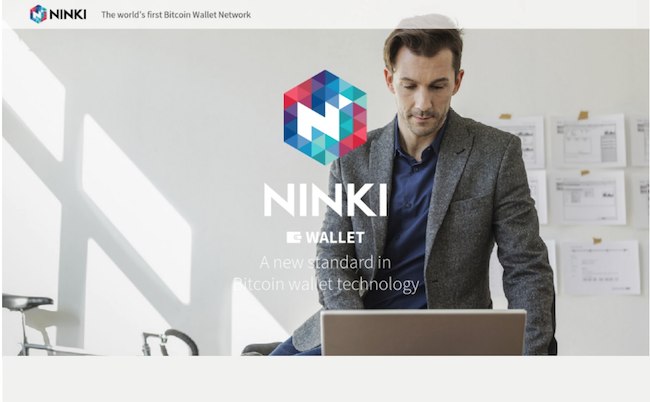 Ninki is a Japanese company that offers a Bitcoin wallet platform for storing and transferring your Bitcoins. Due vs. Ninki: Due and Ninki offer very different digital wallet solutions. Ninki is solely used for transferring and storing your Bitcoin. Due’s digital wallet is used to store payment information form your various payment cards and bank accounts and make payments instantly from any device anywhere in the world. Obopay is a global mobile payments company that provides comprehensive solutions, including digital wallets, apps, and tools that streamlilne the transaction process for merchants, providing a better customer experience. Due vs. Obopay: Both Due and Obopay are attempting to streamline the transaction process for merchants and consumers by providing digital payment options like a digital wallet. Obopay offers industry specific solutions for their service and provides international payment solutions. Due also provides international solutions but does not cater to specific industries. Due’s overall accounting solution is both affordable and effective for any small business. In fact, Due offers nearly all of its features for free. 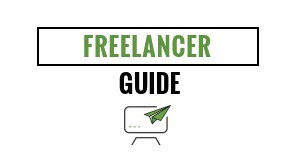 These include: invoicing, time tracking, client management, and project management. Due also offers payment processing for e-commerce businesses. Due’s payment processing rates start at 2.8%. If your online store has high transaction volume, you can inquire about custom rates well below the 2.8%. Official Payments is considered to be an e-wallet that helps people in the U.S. to pay bills, including taxes, tuition, utilities, rent and insurance without having to use checks or other physical forms of payment. Official Payments vs. Due: Both Due and Official Payments provide an e-wallet that can be used for a large variety of payments. Both services provide options for recurring payments like tuition, rent, insurance etc… without having to use checks or other forms of paper. Official Payments is solely operating in the United States, while Due is looking to expand internationally very soon. Due also provides solutions for payment processing. If you’re an online store and are looking to process payments at an extremely affordable rate, look no further than Due. Due has an e-commerce API that allows any online businesses to accept payments at 2.8% flat with no monthly or hidden fees. The rest of Due’s features are offered for free when you sign up. Oxigen Wallet is based in India and can be bused for mobile recharges, money transfers, and bill payments. It is integrated with NPCI and approved by RBI. Due vs. Oxigen Wallet: Both Due and Oxigen Wallet provide a digital payment experience that allows you to move away from paper or plastic transactions. Oxigen Wallet currently operates in India and gives users access to an advanced payment network in which they can seamlessly make transactions from their mobile devices. Due has virtually the same functionality but also operates online. A digital wallet isn’t the only payment solution offered by Due. When you sign up for Due you will be able to send invoices, track time, manage clients and projects, and process payments for your online store. PassKit helps companies with customer engagement, revenue building, and loyalty by leveraging native mobile wallet applications and beacon technology. Due vs. PassKit: Both Due and PassKit offer a mobile wallet application that gives you access to a completely digital payment network. PassKit is geared more towards enhancing customer engagement for merchants by providing a mobile wallet and geolocation. Due is focused more on solving the pain points involved with transactions in general. No more late rent checks or pay checks, with Due’s digital wallet you can issue payroll to thousands of employees in seconds. You can download and Due’s digital wallet for free when you sign up. PayAnywhere makes it easy to accept credit cards with an iPhone, iPad, or Android and through PayAnywhere Mobile or PayAnywhere Storefront. Due vs. PayAnywhere: PayAnywhere only offers mobile reader and storefront payment processing solutions while Due only offers online payment processing options at the moment. PayAnywhere doesn’t exactly provide a digital wallet, they provide a payment solution that allows merchants to accept payments anywhere anytime. This does not eliminate the issue of individuals needing to bring paper cash and plastic cards around with them at all times. Due does solve this pain point by allowing users to connect these cards to their Due account and make purchases either online or from their mobile devices. PayCloud is a mobile rewards and offers app that shares the best deals and offers from businesses to their customers on their iPhone or Android device plus offers a way to store these rewards and other important data. If you’d like, you can schedule a Demo online with PayCloud. If you choose to go with their service, it costs $299 up front + $60/month. Due vs. PayCloud: Both Due and PayCloud offer a digital wallet solution of some kind. However, these services provide a very different digital wallet experience. PayCloud allows you to store information from loyalty or rewards cards on your mobile device. PayCloud also can directly advertise special deals to users’ smartphones if they have the app. PayCloud costs $299 + $60/month for merchants. Who wants to get advertisements about local deals all the time on their phones? Due offers a digital wallet that empowers users to completely shift away from paper transactions. Do away with both paper and plastic with Due as it allows users to make and receive payments digitally. PayPal is one of the most trusted mobile wallets with millions of users in over 200 countries and across 26 currencies. In addition to storing credit and debit cards, the digital wallet also provides a way to link directly to bank accounts and carry a balance on your PayPal account for additional funding options. The wallet app is free and available for Apple, Android, and Windows phones and tablets. If you want to sell using PayPal, you will be charged 2.9% + $0.30 per transaction. Due vs. PayPal: PayPal and Due both allow users to send, receive, and process payments online. In addition, they both offer invoicing and digital wallet functionality. PayPal offers mobile card readers and POS systems which Due does not yet have in place. PayPal charges 2.9% + $0.30 per transaction with no hidden or monthly fees for processing. Due charges 2.8% or lower for credit card processing depending on volume with no hidden or monthly fees. ACH transfers and all other features on Due are completely free. These features include: time tracking, reporting, recurring billing, project management, and much more. PayTM is based in India and is a mobile wallet service that offers a way to pay for shopping, mobile recharge, bills, and movie tickets. Due vs. PayTM: Paytm is a payment tool that allows you to load money onto your Paytm account and make payments for various uses such as movies, events, hotels, flights, financial services, and much more. Due is an online payments platform that can handle payment processing, time tracking, project management, digital wallet, invoicing, and much more for businesses of all sizes. Due charges 2.8% flat or lower depending on volume with no hidden or monthly costs. All other features on Due are completely free. PayToo is an electronic account and an alternative to a bank account where consumers can securely store their money or choose to spend it. PayToo can be used to do direct deposit, pay bills, manage gift cards, pay merchants, share funds and more. Due vs. PayToo: Like Due, PayToo acts as an electronic bank account where you can store sensitive payment information and use your mobile device to pay bills, merchants, share funds and much more. Due offers a digital wallet solution for both mobile devices and online. Whether you’re an individual or large business, Due’s digital wallet is the right solution for you. All eCheck payments on Due are free, so whether you’re sending your cousin $10 or $10,000 they will see the full amount deposited in their Due account. PayUMoney is based in India and helps make it easier for buyers and sellers to conduct transactions, offering a mobile wallet as well as equipment for on-site payments. PayUMoney charges 2% flat to access their payment gateway. 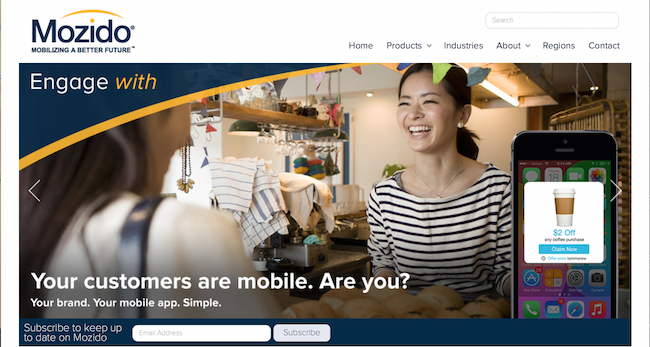 Due vs. PayUMoney: Both Due and PayUMoney offer a mobile wallet solution that simplifies the transaction process between customers and merchants. PayUMoney offers both software and hardware for their digital payment solution. Due is completely cloud based, but offers an online solution as well as a mobile one. Due’s full accounting package comes with invoicing, time tracking, client and project management, and payment processing. All features are free besides payment processing, which costs 2.8% flat per transaction. Placecast is a data management platform for mobile that provides a way for companies to make the most of the digital wallet information and mobile data they are provided with from customers. This platform leverages the data to offer more personalized experiences for customers. Due vs. Placecast: Placecast doesn’t necessarily offer a digital wallet that allows users to move away from paper transactions, however it does provide useful data for merchants. Due provides an actual wallet that allows users to store payment information and make payments either online or from their mobile devices. Due provides this service for free along with invoicing, time tracking, client management, and project management. If you own an online store, Due can process your payments for only 2.8% flat with no hidden or monthly fees. PNC Bank offers a digital wallet feature for its customers as well as integration with other mobile wallet apps to help customers pay without carrying cash or credit cards with them. Due vs. PNC Bank: Both Due and PNC Bank make it easier for both merchants and consumers to complete everyday transactions. Due and PNC Bank also offer solutions for enterprises as well as individuals. With Due, you can set up recurring payments to thousands of employees that can cut hours of work down into just mere seconds. Due’s eCheck transfers are also completely free, so when you’re sending your family $10,000 they’ll see the full $10,000 deposited in their bank account. Due offers much more than just a digital wallet. Due offers invoicing, time tracking, project management, and clients management also for free. Payment processing is also available at 2.8% flat. Poynt is technology that enables merchants to work with digital wallets and accept all those payments as well as loyalty, gift, and membership cards. Poynt offers solutions for resellers and developers as well to fit a large suite of payment needs. Due vs. Poynt: Poynt provides the means for merchants to easily connect with various digital wallets to provide a seamless transaction experience for their customers. Unlike Due, Poynt offers solutions for storing loyalty, gift, and membership card information. Due offers direct solutions for both its digital wallet and payment processing. Due’s digital wallet allows you to send and receive money for free to anyone on the Due platform. Due provides payment processing solutions for online stores with affordable rates as low as 2.8% flat with no hidden or monthly fees. For larger businesses processing high transaction volumes, Due can offer rates well below 2.8%. PreCash enables business to accept mobile payments and work within the digital payment environment. Due vs. PreCash: PreCash is a digital wallet solution offered by Noventis. 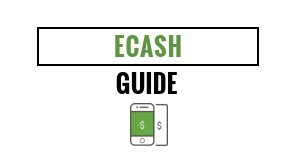 Both Due and PreCash allow users to turn their smartphones into a payment device. Both services are helping customers do away with cash and plastic as we move more towards a digital payment economy. Due’s digital wallet allows you to send and receive money for free. If you’re looking to collect rent or payment from a client, you will see the full amount deposited into your Due account. Due charges 2.8% flat if you want to process payments on your online store. Puut Wallet is a company headquartered in Copenhagen and is a digital wallet company that provides a way for consumers to give up carrying a wallet with cash and plastic payment cards. Due vs. Puut Wallet: Like most digital wallet’s Due and Puut Wallet are helping businesses and consumers go completely paperless with their transactions. With Puut wallet you can store both payment and personal information in one secure place. Due only allows you to store your payment information, mainly because Due is solely focused on improving your payment experience. When you sign up for Due, a digital wallet isn’t the only feature you’ll be able to utilize. With Due you can invoice, track time, manage projects and clients, and process payments. QuikWallets is a company from India that offers a mobile wallet to store credit and debit cards and provides a way to make mobile payments. Due vs. QuikWallet: Due and QuikWallet empower users by turning their smartphones into a mobile wallet. Both services let users store credit and debit card information on their devices as well as make payments from them. Due is not restricted to mobile however, Due’s online solution provides payment solutions well beyond one-time mobile transactions. On a basic level, users can send and receive money across the Due platform for free using their digital wallet. At the moment, users can send up to $10,000 instantly and for free to any other Due user. On a larger scale, enterprises can set up recurring payroll where they can pay thousands of employees in seconds using Due’s digital wallet. Razorpay is a company headquartered in India that offers digital wallet capability for a fast and secure payment experience for individuals and businesses. Due vs. Razorpay: Both Due and Razorpay offer a digital wallet, payment processing, a hosted checkout, and reporting/analytics for businesses of all kinds. Both of these services provide merchants with a dashboard where you can be on top of company reports and transactions in real time. The majority of accounting features offered by Due are free when you sign up. If you would like to process payments with Due, you will pay 2.8% flat with no hidden or monthly fees. RBC offers its customers a digital wallet feature for its debit and credit cards to use for contactless payments and online payments. Due vs. RBC: Both Due and RBC offer a digital wallet solution that allows users to go paperless with their payments. RBC offers more of an online banking and wealth management service for individuals. 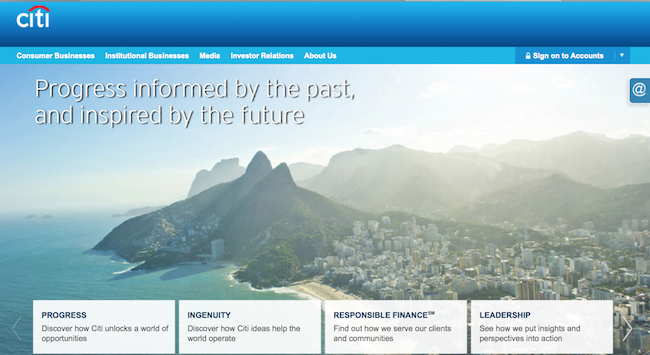 They offer banking, investing and asset management, wealth management, and insurance services. Due’s accounting solution is catered towards individuals and small businesses looking to get ahead at an affordable rate. Due offers invoicing, time tracking, client and project management, and payment processing to businesses of all sizes. All of Due’s features besides payment processing are available for free when you sign up. Payment processing is offered at 2.8% flat with no hidden or monthly fees. Samsung Pay is a mobile wallet app that allows for tap and pay purchases at stores using a newer version of the Samsung Galaxy phone. 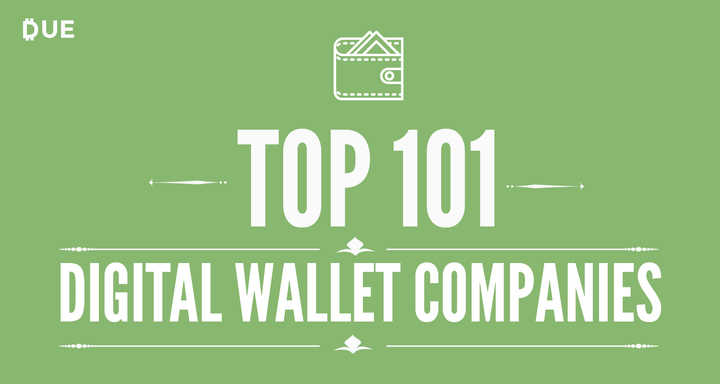 It’s one of the most widely accepted mobile wallets. Due vs. Samsung Pay: Samsung Pay allows you to link several cards to your smartphone and make payments from any card via your device. Due offers similar functionality by providing users with a digital wallet in which they can make payments with. We only allows users to make payments online at the moment, with in-store capabilities on the roadmap. Due offers additional features such as payment processing, time tracking, reporting, invoicing, project management, and much more. Sequent brings cards to mobile and makes them useful for consumers. Sequent enables banks, transit agencies, and other issuers to securely digitize their credit, debit, transit, loyalty or ID cards and distribute them to their own application. This allows consumers to make payments, redeem offers, open doors, and ride transit systems. Due vs. Sequent: Due and Sequent both provide a mobile wallet solution for consumers and merchants that provides a digitized transaction experience. Sequent allows merchants to digitize much more than their payment cards. These options include loyalty, rewards, and ID cards. Due is solely focused on the transaction experience and is restricted to just payment cards at the moment. However, Due is also offered online in addition to mobile. Due’s online digital wallet gives users access to features like payroll that can save large businesses time and money. ShareNPay provides a way to store payment information on a mobile phone in order to pay, collect funds, or split bills while on the go without having to resort to cash, checks, or plastic cards. Due vs. ShareNPay: Due and ShareNPay both provide users with a mobile wallet experience that truly revolutionizes the way we make and share payments. ShareNPay is mostly used on a smaller scale with everyday purchases and splitting bills. The ideal use case for ShareNPay is if you’re out to dinner with a group of 10 friends and you need to split the bill. ShareNPay allows you to seamlessly collect money from each group member without having to use paper or plastic. Due can be used for this as well as larger scale transactions. Whether you’re sending a cousin $10,000 or setting up payroll for your Fortune 500 company, Due can handle it all. You can sign up and access Due’s digital wallet for free. Snapchat is a social media platform that allows you to link and store payment information in order to make payments to people through their platform. Due vs. SnapCash: Both Snapcash and Due allow users to send money to other users on the platform. In order to send money on Due, all you need is the end-user’s email address. Snapcash only allows you to send money to other users on the app, and only if they have opted to accept Snapcash. Along with a fully functional digital wallet, Due also offers payment processing, time tracking, reporting, invoicing, and project management features. State Bank Buddy is headquartered in India and lets you send money to anyone, pay bills, recharge mobile/ DTH, and book movie, flight, and bus tickets at anytime. You an load money into the wallet, transfer to phone or Facebook contacts, or transfer funds to your bank account instantly. Due vs. State Bank Buddy: Both Due and State Bank Buddy allow users to turn their smartphones into a digital wallet and use them to send money, pay bills, and much more. State Bank Buddy offers special offers and deals through their platform and lets users book plane travel and events directly from the app. Due’s digital wallet is offered online and on mobile devices. While Due doesn’t offer flight and movie reservations, it offers more useful features for both individuals and small businesses. 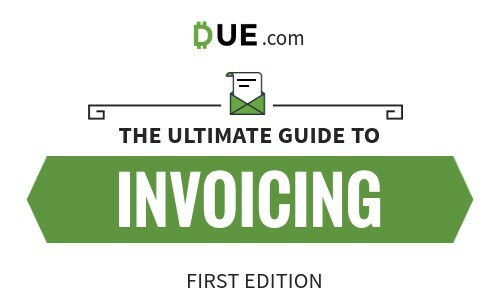 With Due, you can invoice clients, manage projects with multiple users, organize clients, and process payments. Stocard Wallet is a free app that turns smartphones into a mobile wallet so you don’t have to carry plastic cards and rewards. Due vs. Stocard: Both Due and Stocard offer some form of a mobile wallet that allows users to store plastic card information on their smartphone. Stocard is focused on loyalty and rewards cards and offers its service for free. Due does not offer loyalty and reward card storage at this time, Due is mainly focused on simplifying the transaction experience between merchants and customers. Due’s wallet is also offered for free. Stripe offers digital wallet capability as part of its payment features, which also include credit card processing capability and funds transfer. Due vs. Stripe: Stripe and Due both offer digital wallet and payment processing capabilities for businesses of all sizes. They are more oriented to the developer audience and provides a multitude of API’s for a suite of payment use-cases. 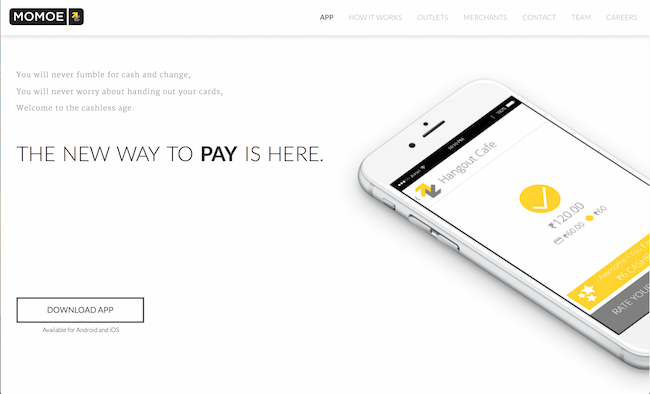 Stripe charges 2.9% + $0.30 per transaction for payment processing. Due charges 2.8% or lower for credit card processing depending on volume with no hidden or monthly fees. eCheck transfers and all other features on Due are completely free. These features include: time tracking, reporting, recurring billing, and project management. TabbedOut provides a mobile wallet solution for bars and restaurants. Customers can open, view, and pay their tabs with their phone. Due vs. TabbedOut: Both Due and TabbedOut provide users with a mobile wallet solution that makes it easier to make payments without cash or plastic. TabbedOut is primarily focused on solving the very difficult task of splitting the restaurant bill at the end of a big group meal. Due can be used to split restaurant tabs and much more. Whether you’re using Due on your mobile device or online, you can access features like recurring rent payments, payroll, mass payments and much more. Due’s digital wallet is offered to consumers for free. The Mobile Wallet is based in India and its mobile wallet capabilities enables users to complete all daily payments for shopping, travel, dining, cabs and mobile phone payments. Due vs. The Mobile Wallet: Like Due, The Mobile Wallet is helping our economy move away from paper transactions and more towards online payments. The Mobile Wallet is only offered on a mobile device while Due can be accessed both online and on mobile. If you choose to sign up with Due, you will have access to much more than just a digital wallet. Additional features include payment processing, invoicing, project management, and time tracking. Tipalti is headquartered in Israel and Palo Alto, California and offers a B2B solution that works like a digital wallet in terms of its ability to store thousands of payment information accounts that automates the global supplier payment process through mass digital payments. Due vs. Tipalti: Tipalti and Due both offer a digital wallet and payment functionality to businesses of all sizes. Tipalti is focused more on larger companies and offers industry specific solutions. They specialize in offering custom solutions to redefine the account payables process for businesses. Due offers a very simple set of features that encompass all the needs of a business for free. Due charges a flat 2.8% or lower for payment processing with no hidden or monthly fees. eCheck payments and all other features are offered for free. These features include: reporting, time tracking, invoicing, and project management. Transferwise is a UK company that allows you to transfer money between countries electronically and at a low cost without having to worry about physical payment timeframes or currency exchange. Due vs. TransferWise: Transferwise uses a unique method to allow users to send money across borders and or exchange currencies. For example, If User A in the United States wants to send money to User B in Italy, the transaction will go like this: User A will add their money to a US Dollar pool, a small fee will be taken and the money will be deposited in User B’s account as Euros that are taken out of the Euro pool. Due is an online payments platform that can handle payment processing, time tracking, project management, digital wallet, invoicing, and much more for businesses of all sizes. Due charges 2.8% flat or lower depending on volume with no hidden or monthly costs. All other features on Due are completely free. U.S. Bank offers a digital wallet for its customers for its own debit and credit cards and other financial information. Due vs. U.S. Bank: Both Due and USBank offer domestic and international payment processing, ACH/eCheck processing, and many more merchant solutions. USBank offers mortgage and financing options for small businesses as well. Due’s digital wallet and basic accounting solution is mostly free. The only feature Due charges for is payment processing which starts at 2.8% flat or lower depending on transaction volume. Vantiv is a mobile payments technology company that provides a range of product solutions to help merchants, including digital wallet functionality and digital payments. Due vs. Vantiv: Both Due and Vantiv offer online payments, ACH/eCheck acceptance, and payment processing. Vantiv offers POS systems, gift cards, and prepaid cards which Due does not yet have in place. Due provides both individuals and large corporations with a basic accounting solution that encompasses the majority of their needs at a very competitive price. In fact, all of Due’s features except for payment processing are offered for free. If you’d like to process payments with Due, it will cost 2.8% flat per transaction with no hidden or monthly fees. Venmo is a digital wallet that lets you make and share payments with friends and family. Due vs. Venmo: Both Venmo and Due allow you to link a credit card, debit card, and bank account to the platform and send money to other users on the platform. Both services give users access to a digital wallet functionality where money is held on a user’s account as “credit” and can be transferred to their respective bank accounts at any time. Like Due, Venmo offers it’s digital wallet solution for free. 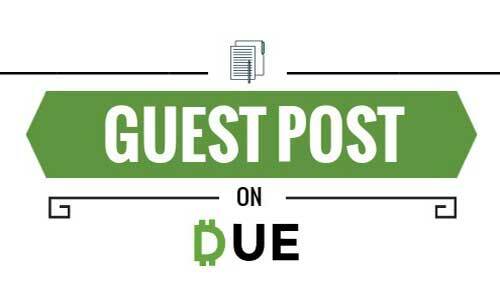 Due’s digital wallet allows users to set up recurring payments for payroll, rent, tuition, and much more while Venmo is mainly used to send and receive payment. Vibes is a marketing company for mobile and digital wallets that provides companies and brands with ways to leverage this payments platform with special promotions, surveys, rewards, and more. Due vs. Vibes: Both Due and Vibes provide individuals and larger businesses with mobile and digital wallet solutions. Vibes acts as a connector/marketing company that gives brands a way to leverage their platform with promotions, special deals, and much more. Due offers a direct digital wallet solution that acts as a replacement for paper and or plastic payment methods. Visa offers mobile wallet capability to store payment information, make payments, and do contactless payments in stores. Due vs. Visa: Visa and Due both provide a mobile wallet that can store information and make payments. Due has an online version of its digital wallet that provides enterprise solutions like payroll and mass payments as well. Vodafone is a unique mobile payment service (mobile-based money transfer and micro-financing service) in the sense that it is made available by Vodafone m-pesa is a semi-closed wallet as well as an open mobile wallet used in India to conduct mobile transactions, especially to send money to friends and family. Anyone can withdraw or receive the money at any of the m-pesa agents across India. Due vs. Vodafone: Both Due and Vodafone have a digital wallet that allows you to send and receive money to other users on the platform. Due provides additional accounting features like invoicing, time tracking, payment processing, and project and client management. Walmart Pay is available as a feature on the Walmart App. This free digital wallet app is available for Apple and Android phones and supports all major credit and debit cards to use at the chain’s 4,600 stores. Walmart doesn’t currently accept any other mobile wallets. Due vs. Walmart Pay: Both Due and Walmart Pay offer some form of a mobile wallet. Walmart Pay is restricted for use at Walmart only. Due’s digital wallet can be accessed both online and on your mobile device. Unlike Walmart Pay Due can be used to send/receive money, set up recurring payments, make purchases and much more. WellsFargo provides digital wallet capability and integration with its own debit and credit cards as well as bank account information and other important data all within a digital environment that is secure and compliant. Due vs. WellsFargo: Both Due and Wellsfargo allow users to go paperless and securely store bank information on a single platform. Due offers more than just a digital wallet, these features include invoicing, payment processing, time tracking, and project management. WorldPay is a payment processing company that handles all types of payment methods, including digital wallet capability. Due vs. WorldPay: Both Due and WorldPay offer a digital wallet along with many other payment capabilities like payment processing. Due charges 2.8% flat or lower for payment processing which is among the lowest in the industry. The rest of Due’s features are offered for free when you sign up. WorldRemit is based in the UK and is a mobile wallet and online money transfer service that makes it easy to send money all over the world. Due vs. WorldRemit: Both Due and WorldRemit give users access to a digital wallet that allows for seamless online money transfer. Due offers both a mobile and online solution for free along with time tracking, invoicing, payment processing, and project management. YesPay is an online payment system from YesBank that is headquartered in India. This includes mobile wallet capability. Due vs. YesPay: Both Due and YesPay offer payment capabilities like a digital wallet to businesses of all kinds. YesPay caters more towards users’ banking needs and provides services like loans, investment accounts, and business banking. Due is a general accounting solution that caters towards small businesses. YoYo Wallet is headquartered in the UK and is considered to be Europe’s fastest growing digital wallet for use in stores and online for all types of payments. Due vs. YoYo Wallet: Both Due and YoYo wallet allow users to store and make payments from their mobile phones and online. In addition to a digital wallet, Due allows users to invoice, process payments, track time, manage projects, and manage clients. YouTap serves as the bridge between mobile wallets and merchant terminals to assist consumers and businesses in emerging markets all over the world to leverage this new type of payment method. Due vs. YouTap: YouTap serves as the middleman between linking mobile devices and merchants so consumers can take advantage of a contactless payment method. Due provides users with a digital wallet where they can send money to anyone all over the world. Due offers enterprise solutions as well like payroll, mass payments, recurring payments, and much more. ZayPay is a company headquartered in Amsterdam that offers a way to add mobile payments to your website and apps in minutes, providing digital wallet capabilities for your customers. Due vs. ZayPay: ZayPay allows merchants to add mobile payments to their websites and apps and provides digital wallet capabilities to their customers. Due offers a hosted e-commerce checkout for online businesses with processing rates as low as 2.8%. Due’s digital wallet can be used to make payments as well. Ziddu is a global digital wallet company that enables people to send and receive money as well as store funds and payment data and shop. Due vs. Ziddu: Both Due and Ziddu allow users to store, send, and receive money to other users on the platform. Due offers it’s digital wallet for free along with time tracking, invoicing, project management, and payment processing features. ZipCash is a digital wallet company from India that offers a simple and free service to send money to friends and family, shop online, and take advantage of local deals. Due vs. ZipCash: Both Due and ZipCash provide a way for users to move away from paper transactions and make payments digitally. ZipCash offers local deals at various retailers which Due does not yet offer. However, Due offers invoicing, time tracking, payment processing, project management, and client management in addition to its digital wallet. 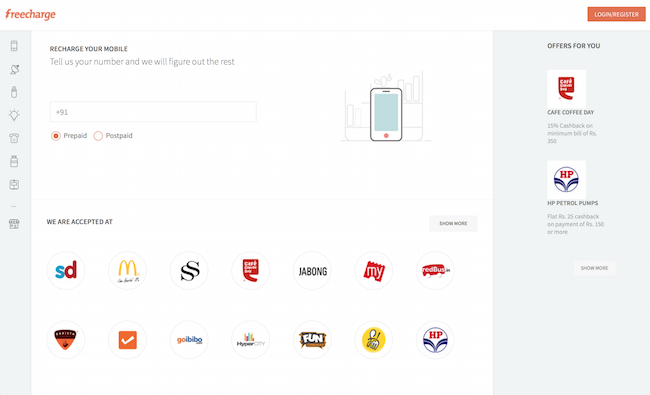 Although Zomato is a restaurant search app, it also has a payments platform known as MaplePOS that provides a digital wallet storage feature for payment information. Due vs. Zomato: Zomato and Due offer a very different set of features. Zomato is mainly used as a restaurant search app, but now it allows you to store your payment information on the app. Due is a general accounting solution for individuals, start-ups, and large enterprises.